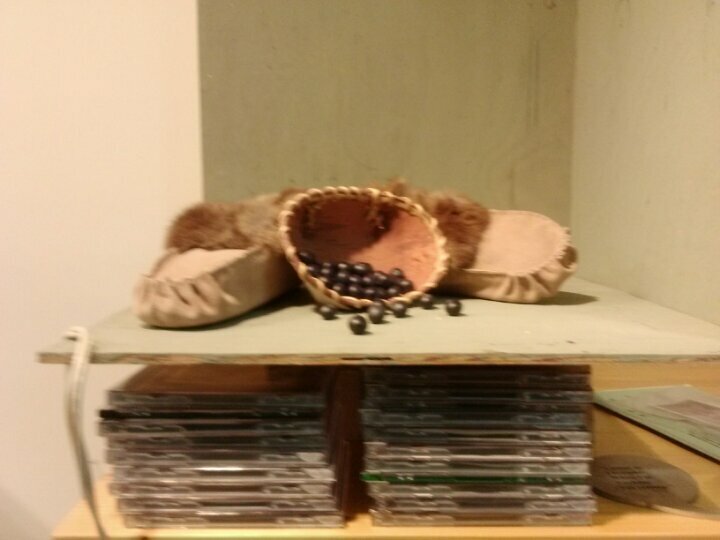 Carol has a different Alaskan still life setup. Carol’s will have a glow coming from behind basket area, very classic look. Now for the oil painters out there. Our colors are mostly Robert Doak Colors. Some Windsor Newton. 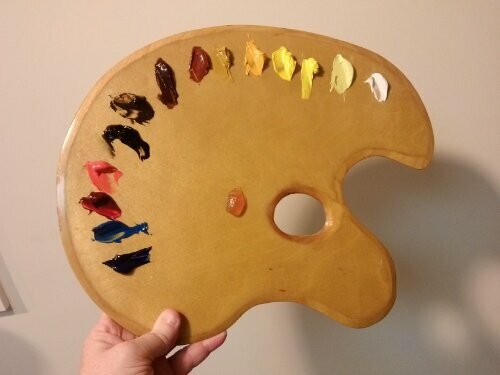 This is our standard palette plus blues. 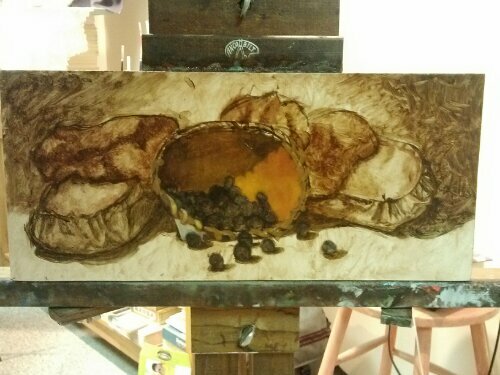 The amber blob near the thumb hole is Maroger Medium it makes the colors more transparent and keeps the flexibility and intensity of color. Ohhhh so nice! Our painting are smooth in texture. 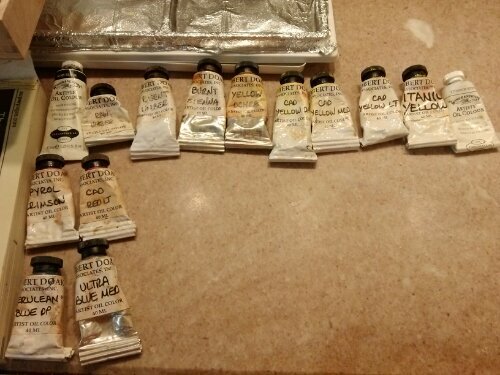 Titanium White, titanium yellow, cadium yellow light, cadium yellow medium, cadium yellow dark, yellow ochre, burnt sienna,burnt umber, raw umber, black, pyrol crimson( does not fade, so they say), Cadium red light, cerulean blue, ultramarine blue.